With spring comes change. I thought I would welcome spring with a fresh new blog…ta da!! With this amazing oportunic year I have really just let go and let my creations take on in all directions. If you have read any of my other posts or know me at all, you know, I claim no rights to my talents….I am simply a tool for the creator of all creators. Sometimes I look at what I have made and I am in awe. “Where did that one come from?” Oh yes I will talk to myself, my dogs and whoever may be listening. I am sure my neighbors have deemed me a nut. I live in my world and I like it here. You will see some truly amazing new accessories coming to the shop, HopscotchCouture. 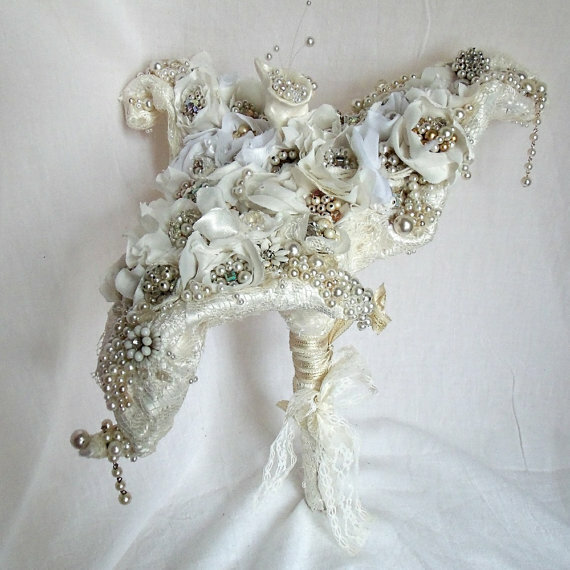 Especially for my brides, headpieces unlike anything you have ever seen. The beauty of what I do is that not even I can duplicate any of my designs. Using all vintage materials and no patters ensures that one of a kind means just that, One Of A Kind. 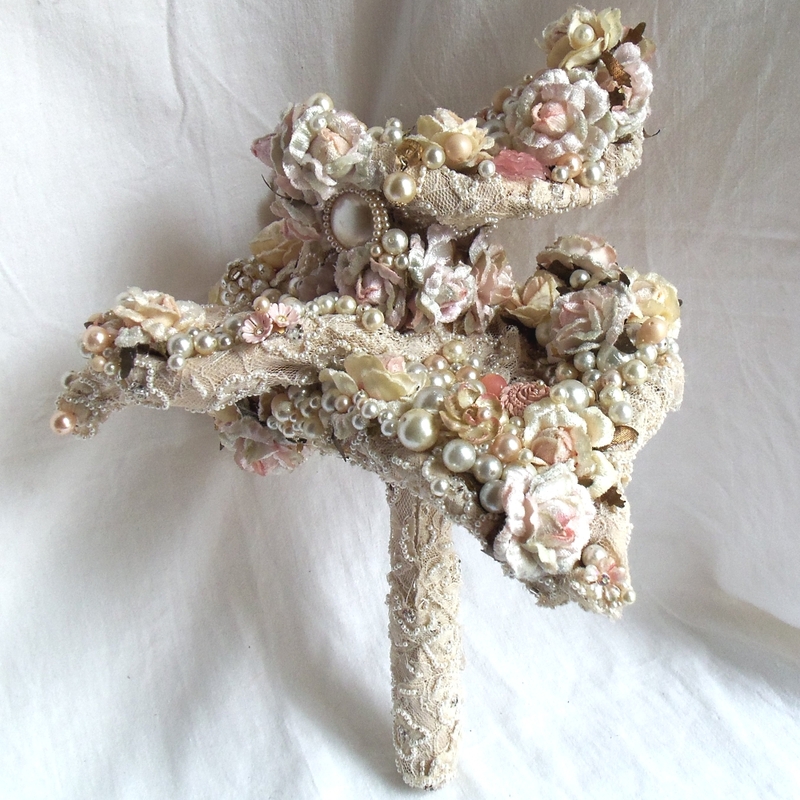 This year I even plan on doing some tutorials on how to makes these bouquets…and other fun pieces. Yes it will be a big year I can promise you that.